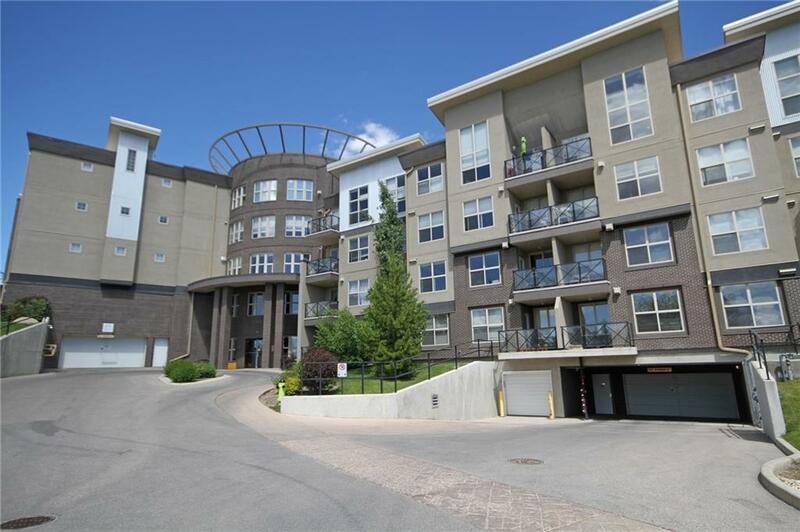 Hands down...top-notch value in this terrific 2 bedroom condo in Stonecroft's popular WEST in Arbour Lake. 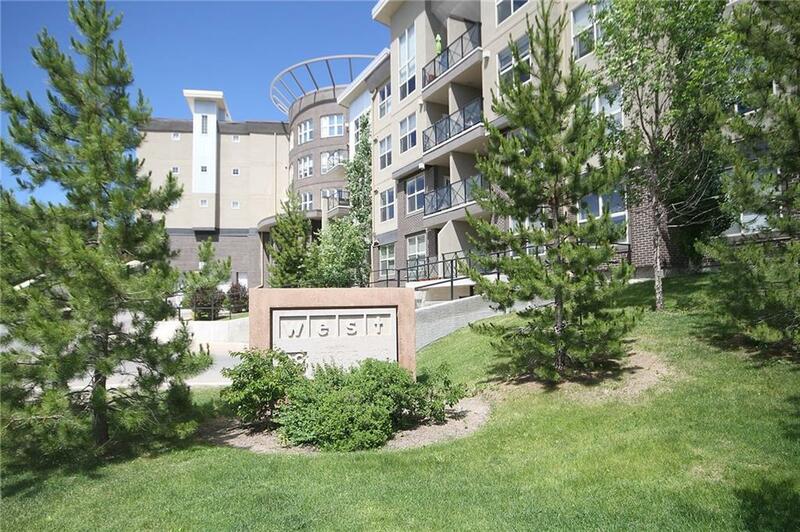 Just minutes walk to the LRT & all the top-notch shopping, restaurants & theatres at Crowfoot Centre, this 2nd floor unit boasts 9ft ceilings, infloor heating & 2 underground parking stalls. 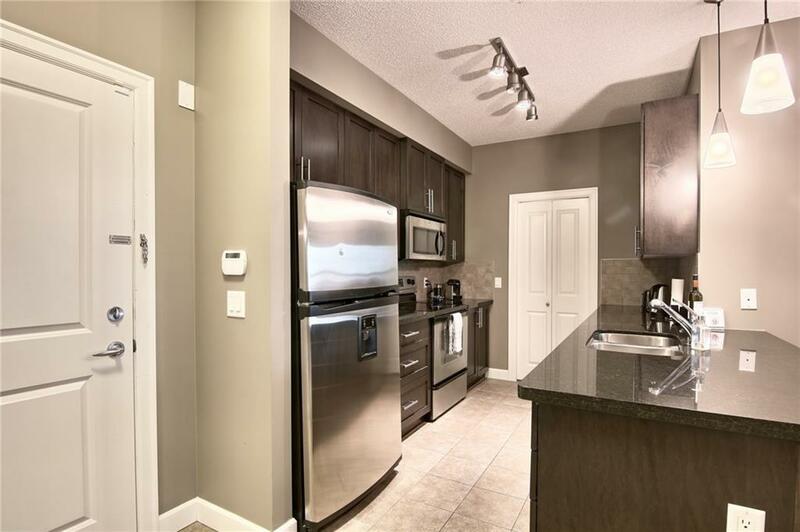 Great open concept design with spacious living/dining room with fireplace & window A/C, dedicated home office & sleek maple kitchen with granite counters & stainless steel appliances. Master bedroom with walkthru closet into the ensuite with soaker tub & separate shower. The 2nd bedroom is next to the 2nd full bath & closet for your linens & towels. 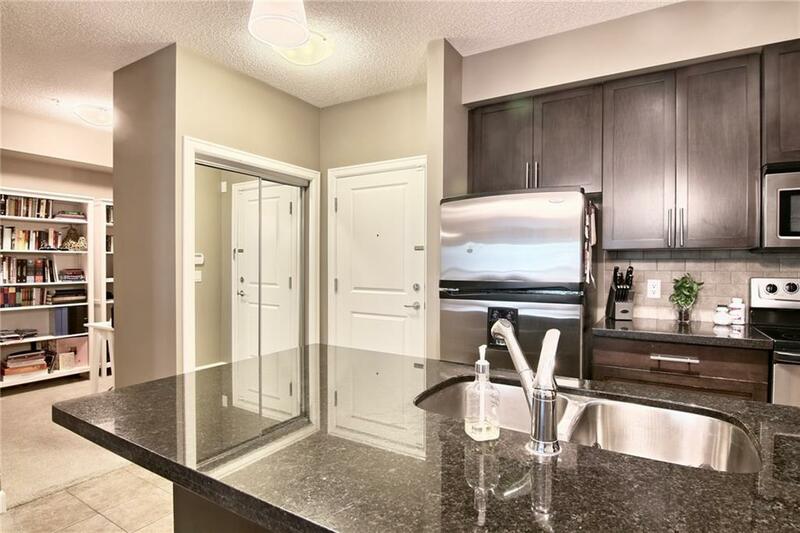 Convenient insuite laundry/pantry with newer Blomberg washer/dryer (2017), tile floors in the bathrooms & kitchen plus covered West-facing terrace with natural gas line for your BBQ.